No service is a standalone service anymore. Even Google Drive is being connected to Microsoft Office. Never thought you’d see the day, did you? 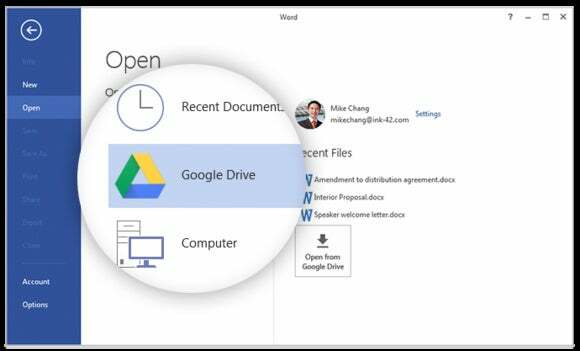 Google Drive is coming to Microsoft Office. However, it’s not quite there yet. 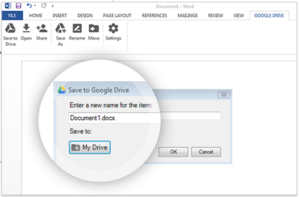 Google’s plugin, which it published Tuesday, may allow Office documents to be opened, edited, and saved to Google Drive. But it doesn’t seem to want to work with any non-standard versions of Office quite yet. The premise is simple: Download the plugin, and suddenly Google Drive will show up in the list of storage volumes that Office can see and connect to. (Microsoft has signed similar deals with Box and Dropbox, among others.) 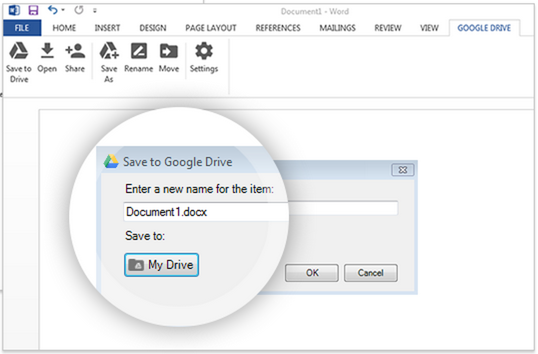 If you have an Office file stored in Google Drive, you’ll be able to open it in Microsoft Office. For a time, Google and Microsoft competed furiously for governments and school systems, firing off press releases touting wins for either Microsoft Office or Google Apps. Whether those days are over, it’s hard to say. But there’s clearly more of a spirit of detente with this release. "We believe users should be able to use the tools of their choosing and this feature makes it easier for them to seamlessly utilize both Office and Google Apps," a Google spokeswoman said in an email. Unfortunately, the new plugin doesn’t seem to work with either the preview version of Word 2016, Word Mobile (the Universal app on Windows 10) or just Windows 10 itself, as it gave me the error message below. But I certainly know how it’s supposed to work. Whether Microsoft and Google hammer out their differences in time for the launch of Windows 10 and Office 2016, however, remain to be seen. Why this matters: In many ways, this seems to be Google’s capitulation, a recognition that users are moving away from Google Apps back to Office. There was a time when Google was able to develop a competitor to Office a few years ago—and Google’s own apps and editing tools certainly handle the basics as well as any. But with Microsoft pushing free versions of its own office suite across any and all platforms, Google may be playing Microsoft’s game: attempting to lure users back by getting their services in front of as many users as possible. Updated with additional comment from Google.